Yes, sometimes he questions why he still volunteers for this sometimes thankless task. At any given time during the three-day Common Ground Country Fair, there will be 12 to 20 volunteers helping people park. 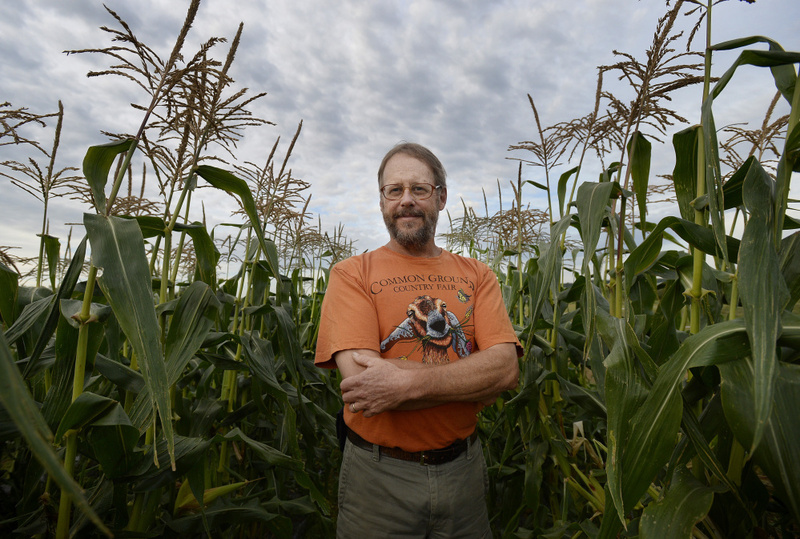 Dave Colson has a day job – he’s the Maine Organic Farmers and Gardeners Association’s agricultural services director – but at fair time, he’s busy running the show in the parking lot. His beige Toyota Tundra is command central for volunteers. We called Colson up to get a view of the fair from the parking lot as MOFGA gears up for its 40th fair, starting Friday. FIRST FAIR: Colson’s first fair was in September 1981. His sister, who went to College of the Atlantic, was living in Maine, and she’d been sending Colson advertisements for land for sale in Maine. She knew he’d been looking for affordable farmland in Oregon without any luck. Although they grew up in western New York state, the family had roots in Maine, going back to a grandfather from Skowhegan. Colson told his sister he was considering the move. “She said, ‘You better come in time for the Common Ground Fair.’ ” And he did, arriving just in time to attend. “I was pretty hooked,” he said. That winter he and his parents bought land in Durham and started New Leaf Farm, which was certified organic in 1985. After Colson met his wife in the late 1980s, they all ran the fruit, vegetable and herb farm together until 2005, when his aging parents began to back off from farming. These days, with his MOFGA responsibilities, they’ve scaled back to a haying and green manure operation only. CASE IN POINT: About five years ago, there was a parking disaster when it started to rain mid-afternoon on a Saturday. Fairgoers decided, all at once, that maybe it was time to go home. “The crowds came out to get in their cars, and it got completely snarled. We had a lot of upset people.” They implemented changes the next year, making it easier to find – and reach – exits. But Colson asks for flexibility and a reality check for fairgoers. “Anyone who has ever driven to any major sporting event knows that it takes just about as long to get out as it does to get in. People need to realize, if it takes us five hours to fill up the parking lot, it is not going to take us 15 minutes to empty it.” Remind us, if it rains this year, to hang out in an exhibit for awhile or get something more to eat before heading for the lot.